Every morning for the last two years, Yaniv comes to this tiny yeshiva in a Jewish neighborhood in Jerusalem. Yaniv, a Palestinian, was born Muslim and converted seven years ago. He loves to study Judaism, he says, and is continuously excited by it. Yaniv is proud to be Jewish. Yaniv’s rabbi says that he is proud of his student who is passionate and determined in his love of Judaism. Just two years ago he was called Busman, and lived in an Arab village near Nablus. Osman was released from an Israeli prison after 11 years, on charges of manslaughter. He discovered Judaism while in prison, and has since converted. This is Bussman, or Yaniv, moments after being released from jail, on the Palestinian side of the green line. Crying bitterly, Yaniv said that he had nowhere to go, now that he was a Jew. He could not enter Israel because he was considered a Palestinian, and in the territories, his life was in danger due to his conversion. As we film Yaniv, he is approached by a man who tells him that he saw the footageof his release from prison on the news and that it was Yaniv’s steadfast belief in Judaism, which affirmed his own beliefs and brought him closer to his own faith. Yaniv is moved by the encounter. Two years later, Yaniv is a star student at his yeshiva, has an adoptive family, and several matchmakers working to find him the right match. He has been living in Israel as a temporary resident, dedicating his life to the Torah, working odd jobs, dreaming of becoming a citizen, and even joining the military. The secret to a Jewish marriage is hidden in the wine. Charlie Harary discusses the hidden secrets and symbolism of wine in a Jewish marriage ceremony. Rabbi Shlomo Carlebach from the archives of Israel Television in the early Seventies. Soldiers in a new IDF company, called “Defenders of the Negev”, maintain an observant Jewish lifestyle as they work to protect the State of Israel. Their service reflects an important goal of the IDF: to help Ultra-Orthodox Jews integrate into the army. PHYSICIAN – PHILOSOPHER – CODIFIER – COMMENTATOR – SPIRITUAL LEADER Rambam, Rabbi Moshe ben Maimon, was born in Cordova Spain, early in the 12th century. Facing the terror of the fanatic Muslim Almohads, he and his family fled Cordova. For seven years they lived in the mountains and caves of Spain. During that time, his remarkable Torah and Talmudic knowledge increased. His love of Torah combined with his avid study of healing and natural medicine, the sciences, mathematics, astronomy – as well as the works of the classical philosophers, began to shape the destiny of his life. The legacy he left behind is astounding. He wrote Perush Ha-Mishnayot – his commentary on the Mishnah, which included the Thirteen Principles of Faith, before he was 30. He also penned Mishna Torah – over 14 volumes of the laws of the Torah. Amongst his numerous works he wrote and defined Sefer Ha-Mitzvot and the 613 mitzvahs – and The Guide to the Perplaxed – as spiritual and philosophical treatise. Rambam was a holistic healer of body and soul. In an age of ignorance, he was a shining light of compassion and commitment toward his fellow human beings. what´s happening today February 28, 2014! 24JEWISH what´s happening today February 28, 2014! 24JEWISH what´s happening today February 27, 2014! 24JEWISH what´s happening today February 26, 2014! 24JEWISH what´s happening today February 25, 2014! 24JEWISH what´s happening today February 24, 2014! 24JEWISH what´s happening today February 23, 2014! 24JEWISH what´s happening today February 21, 2014! 24JEWISH what´s happening today February 20, 2014! 24JEWISH what´s happening today February 19, 2014! 24JEWISH what´s happening today February 18,2014! 24JEWISH what´s happening today February 17,2014! 24JEWISH what´s happening today February 16,2014! 24JEWISH what´s happening today February 14,2014! 24JEWISH what´s happening today February 13,2014! 24JEWISH what´s happening today February 12,2014! 24JEWISH what´s happening today February 11,2014! 24JEWISH what´s happening today February 10,2014! 24JEWISH what´s happening today February 09,2014! 24JEWISH what´s happening today February 07,2014! 24JEWISH what´s happening today February 06,2014! 24JEWISH what´s happening today February 05,2014! 24JEWISH what´s happening today February 04,2014! Blessed be the name of his glorious majesty forever and ever ! A new song for Purim and all year round! The song combines traditional “Freilich” and modern styles of Jewish music. Upbeat, Energetic, and soulful, a song that everyone can dance to. Guaranteed to be a favourite at Adar celebrations and any time of simcha. par le Rav Ovadia ! פורים, מגילת אסתר ב הרב בן ציון מוצפי חובה!!! הרב יאשיהו פינטו, נצר לשושלת רבני מרוקו, פינטו ואבוחצירא. שמונה מעל 20,000 חברים, ב 23 מרכזים רוחניים ברחבי העולם. בהתוועדות פורים קטן תשמ”ו עורר הרבי מליובאוויטש מלך המשיח, אודות ההכנות הנדרשות שלושים יום קודם חג הפורים. טיפ: הרשמו לערוץ שלנו ותקבלו עדכון על כל סרט חדש שנעלה! חג פורים הרב יוסף בן פורת חובה לצפות מרתק ביותר!!! הרב מרדכי שריקי שליט”א ראש מוסדות” בית יוסף ” מתארח ברדיו מנטה בנו וממשיך דרכו של האדמו’ר ” המלומד בניסים” הרב יוסף שריקי זכר צדיק וקדוש לברכה . WORDS OF ENCOURAGEMENT: You can build something indestructible that lasts. Mrs.Sara Leah Haber provides a deeper insight into the concept of simcha. May the proper understanding of simcha bring all of us to the ideal level of Purim celebration! Purim Samayach! 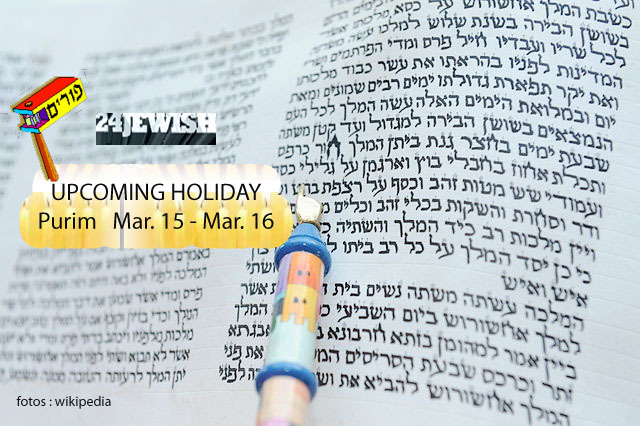 Learn about Purim and where to get the best Hamantaschen in 30 seconds – ! From Delice Bakery . . .
La Pkaïla est un tajine vert, à base d’épinards confits et de haricots blancs, on le mange traditionnellement avec de la semoule de couscous, c’est un régal !. du faisan ,de la sauterelle etc.. un repas casher organisé a Jérusalem pour redécouvrir des gouts perdus !!! Nineteen of France’s top chefs have arrived in Israel to cook with nineteen local chefs contemporary French cuisine in six cities, from Beer Sheba in the south to Nazareth in the north, in the week long festival called: So Frenchy so Tasty. The French Ambassador to Israel, Patrick Maisonnave, claims the massive investment by the French government in cultural events in Israel has nothing to do with the state of the Jews in France. Leading up to the wine season before purim and pesach, the annual kosher Wine Jerusalem expo took place at Binyanei Hauma in Jerusalem. Attracting alcohol stores and distributors from around the world, the expo boasted the largest collection of kosher wines in the world under one roof. Wine tasters, connoisseurs, and reviewers gathered to offer their opinions on some of the finest grape products available today on the kosher market. The event, which was also open to the public for a fee, attracted people from across the Jewish spectrum as they explored new wines. Making this braided egg bread from scratch is worth the effort. Mix the warm water, 1/4 cup of flour, and the yeast together in a large bowl, and let it stand for 10 to 20 minutes, until it begins to foam and puff up. Whisk in the sugar, oil, three eggs, and salt. You can substitute ¼ cup honey for the sugar. Add in the rest of the flour 1 cup at a time, kneading it in with your hands once the mixture thickens. Knead for about five minutes until smooth, adding flour if it’s too sticky. Put the dough in a clean bowl, cover it with plastic wrap, and let it rise until the dough has doubled in size, about two hours. Punch the dough down and transfer it to a lightly-floured surface. Knead for about five minutes, adding flour if needed. Divide the dough into three equal parts and roll each piece into an approximately 9-inch long rope. Braid the three ropes together, and pinch the ends together to seal. Put the braid on a greased baking sheet, cover with a dishcloth, and let it rise until it has doubled in size. The dough should stay dented when you poke it, instead of springing back into place. Preheat the oven to 325 degrees Fahrenheit. Beat the remaining egg and brush it on the top of the braid. Sprinkle with poppy seeds if you like. Bake for 30 to 40 minutes until bread is golden brown. Test for doneness by taking it out of the oven and rapping it on the bottom with your knuckles; if it sounds hollow, it’s ready. If the top is browning too fast, tent it with foil. Cool at least one hour before slicing. If you have any left over, use it for French toast in the morning! Challah loaves are shaped into spirals for the celebration of the Jewish New Year. Izzy originally from Poland, is an amazing person who spent from age 18 to 24 in German concentration camps doing slave labor, including Auschwitz. Never having had more then a 7th grade education he was liberated in 1945 with nothing more then the clothes he was given, yet he stayed in Germany and became a millionaire there while still in his thirties. In 1964 he came to the US and continued doing business here. Now at 85 he is retired doing the snowbird thing and doing his favorite thing, cooking. Everybody who has tasted his food raves about it, and everyone who knows him thinks he is a real character. This is a 2 volumes, 2 discs DVD of Auschwitz survivor Izzy cooking up a storm in his kitchen. Watch him make Gefilte Fish, Chicken Soup, Lockschen Kugel, Potato Kugel, Potato Latkes, Horse Raddish, Brisket & Veal, Chicken Dish, Matze Brei and Butter Crumb Cake. Everything you need for the holidays. I’ve eaten this food and words can’t describe it. Don’t buy gefilte fish out of a jar make it from scratch, and you’ve never had chicken soup like this before. No wonder Izzy has so much energy at 85. He’s quite a character and fun to watch. This is truly food from the good old days and you can watch it being made. How easy is that to follow? Now more recipes added: Izzy’s Cookies and Baking Dough, Apple Cake, Goulash, and Cucumber Salad. (The Goulash is my favorite) and really simple to make. Winnipeg Jewish Bubbie Ruth Zimmer shows David Gale how to make classic chicken soup. From the pilot of Loving Episode. Jeff and Tara show you how to cook chicken cacciatore–Kosher style. Frying chicken Kosher-style without the greasy mess. Watch Seattle’s top Kosher caterer, Leah Jaffee, make the most mouth-watering fried chicken you’ve ever tasted. לתת לבצק לנוח ולטפוח עד שהוא מכפיל את נפחו כ-שעה לערך , לגלות אותו וללוש שוב , לאחר כ-1/2 שעה אפשר להתחיל במלכת הטיגון, שאת ההליך רואים בשרטון !!!!! L’association a distribué 275 repas pour le Michté de Pourim 5771. Un repas comprenant : Pains, riz, Pommes de Terres, viandes, Schnitzel, Salades, friandises et jouets pour les enfants. Get the recipe for The Best Ever Classic Jewish Noodle Kugel at See how to. This is the second video in the Our Mothers Recipe series with Dorene Sager and Armin Feldman. They are demonstrating their mother’s recipe for noodle kuge. Watch more Happy Hanukkah videos: People of any faith can prepare this fanta. Watch me make noodle kugel and explain how to make it healthier! Here is the recipe for my kugel! Happy Hanukkah from The Sam Livecast! We’re making a strangely delicious Noodle Kugel dish. It’s egg noodles but sweet. It has cottage cheese but is amazingl. To view the next video in this series click: This video will show how to mix the ingredients for noodle kugel. Order it online now! Michael, King and owner of Kosher Kingdom, shares his recipe for sweet noodle . It’s easy. It’s tasty. It’s a traditional family recipe for the holidays of Rosh Hashana and Yom Kippur. Now you can make Noodle Kugel! BTW.recipe uses an . Jspace Food tells you how to make a savory noodle kugel, the perfect side dish for any meal! Find more recipes, tips and tricks for the Jewish kitchen at htt. Kosher Deli Restaurant in White Plains New York. Making noodle kugel. Denison’s Cross-Cultural Community is proud to announce the first annual International Food and Culture Festival! Inherent to one’s migration is the movement. Get the App from Google Play: ☆ Kitchen Cat ☆ Apple Noodle Kugel Recipe. A recipe from the KC Des. To view the next video in this series click: This video will show how to bake noodle kugel. Get the App from Google Play: ☆ Kitchen Cat ☆ Apple Lokshen Noodle Kugel Recipe. A recipe from th. Our Pineapple Noodle Pudding is a tropical twist on the original Eastern European dish known as kugel. Serve this warm or chilled for brunch or dessert and. Jodie enjoyed her dinner last night – especially her noodle kugel from Aunt Joan – she had 2 helpings. it tasted good,, i couldnt finish it all! mirracle noodles 100 g eggwhites 1 apple, chopped sweetener which bakes good cinnamon 0 cal non stick spray for loa. This Philly Noodle Kugel is a great side dish that compliments any meat, fish, or poultry entrée. Serve either warm or cold. Whether you are traditionally Je. This easy basic potato kugel recipe is a traditional baked Jewish casserole, served as a side dish. Moist on the inside and crispy golden on the outside it i. 12 oz wide egg noodles, cooked 4 min. 16 oz sour cream, 16 oz farmer’s cheese, 6 eggs, 1/4 c brown sugar, 1/8 tsp nutmeg, 1/2 tsp cinnamon, 1/2 tsp salt, bla. Many people are unfamiliar with kugels, which are baked puddings associated with Eastern European Jews. They typically feature ingredients such as rice, nood. I’ve finally got my act together to provide you with my families traditional holiday dish after years of being asked what is it and how do you make it. Enjoy. | Jamie Geller from Kosher.com shows you how to make her simple and Kosher Cran-Apple Crunch Kug. Voici une recette de pâtisserie orientale, qui est originaire d’Algérie, et que m’a transmise Nelly. Elle fait traditionnellement ce nougat lors de Pourim, une fête juive pendant le mois de février. Rien de compliqué à faire pour peu qu’on fasse bien attention à ne pas faire brûler les dattes sur le feu, et qu’on respect le temps de cuisson. Ce nougat est un régal, essayez le vous m’en direz des nouvelles ! Television chef Jeanette Friedman of ABC’s “The Taste”, let’s us into her world of cooking as she bakes hamantaschen assisted by Folkbiene Business Manager Jill Goldstein with a cameo appearance by Artistic Director Zalmen Mlotek. Cette vidéo reflète ma propre croyance indépendamment à la croyance du compositeur de cette musique et de ceux qui l’accompagnent. MESSAGE ME if you would like to obtain this footage in broadcast quality. -Men on bicycles wear sashes with Hebrew blessing, parading for May Day. -Huge crowds of well wishers on street. -Small group of Orthodox children recite lesson, Melamed leads. -Orthodox young man buys book from market stall. -Shots of family working outdoors: spinning and weaving. -Large group dancing the hora. … a col-umnist for The Jewish Daily Forward, and in her spare time parents five children. THIS ARTICLE FIRST appeared in The Canteen and is reprinted with permission To learn more about Jewish life and sign up for their free daily newsletters, visit www. In Israel ist ein Leben ohne Mobiltelefon nicht denkbar. Besonders wichtig wird das Handy, wenn man im Stau steht – und das tut man in Tel Aviv fast immer. Diese kurze Dokumentation beleuchtet das jüdische Leben in Sankt Wendel. Er ist Ergebnis der Arbeit unserer beiden ehemaligen Praktikanten Leonardo und Johannes. Букник приглашает на видеоверсию фестиваля Yiddish-Fest 2012.
they showed this video during the hasc 20 concert when baruch levine sang his song. 1 Als aber das Volk sah, dass Mose ausblieb und nicht wieder von dem Berge zurückkam, sammelte es sich gegen Aaron und sprach zu ihm: Auf, mach uns einen G-tt, der vor uns hergehe! Denn wir wissen nicht, was diesem Mann Mose widerfahren ist, der uns aus Ägyptenland geführt hat. 4 Und er nahm sie von ihren Händen und bildete das Gold in einer Form und machte ein gegossenes Kalb. Und sie sprachen: Das ist dein G-tt, Israel, der dich aus Ägyptenland geführt hat! 20 und verwandelten die Herrlichkeit ihres G-ttes in das Bild eines Ochsen, der Gras frisst. 22 Wunder im Lande Hams und schreckliche Taten am Schilfmeer. 23 Und er gedachte, sie zu vertilgen, wäre nicht Mose gewesen, sein Auserwählter; der trat vor ihm in die Bresche, seinen Grimm abzuwenden, dass er sie nicht verderbe. Wo keine Rinder sind, da ist die Krippe leer; aber die Kraft des Ochsen bringt reichen Ertrag. 3 Ein Ochse kennt seinen Herrn und ein Esel die Krippe seines Herrn; aber Israel kennt’s nicht, und mein Volk versteht’s nicht. Eine Hommage an den Hohenemser David von Pavel Schmidt. Buchvorstellung mit Pavel Schmidt und Himi Burmeister im Jüdischen Mueum Hohenems am 7.3.2013. Herzlich Willkommen beim You Tube Kanal des Jüdischen Museums Hohenems. Sie finden auf dieser Seite Videos von Ausstellungseröffnungen und Veranstaltungen des Museums. … Alte Synagoge ebenso wie Kompositionen israelischer Komponisten der Gegenwart. Interessante Verbindungen und Bezüge zwischen Klängen aus Marokko, Spanien und Griechenland mit jüdischer Musik werden an diesem Vormittag vorgestellt.